After instantaneously skyrocketing to fame decades ago, Steranko shocked the magic world by disappearing with equal abruptness—creating an enigma insiders have analyzed ever since. This month, Magic’s Mystery Man has returned with a vengeance: a startling, surreal GENII cover (visualizing his old friend Martin Gardner) and announcing his return to the field on a series of magic-based products in collaboration with Illusion.Works. The first release is a Special Edition of STERANKO ON CARDS, (originally published in 1960 by the Ireland Magic Company, now Magic Inc.), which introduced his innovative and highly-influential card technique to the world. The STERANKO ON CARDS Special Edition is limited to 100 hardcover books, each signed and numbered by the writer-artist, with an elegant, foil-stamped SLIPCASE also designed by him. Included with the book is a unique, numbered CARD CLIP and a METAL BOOKMARK of matching design. 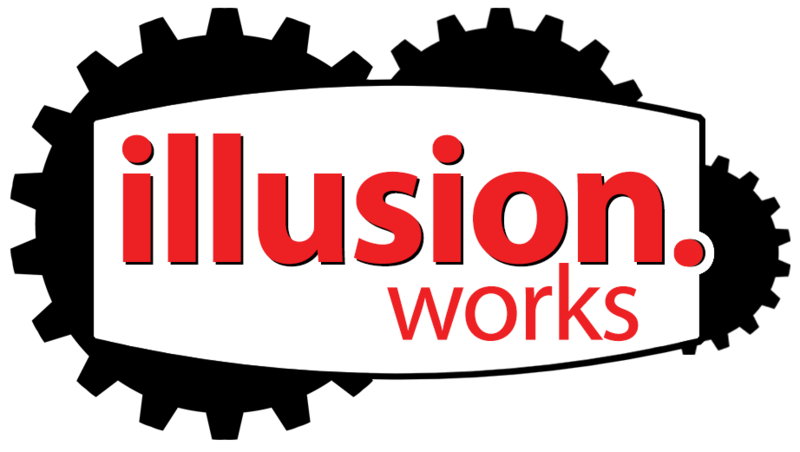 The Special Edition will be available at the Illusion.Works website—www.Illusion.Works—in the first quarter of 2016. Pricing and release date will be announced in mid-January. Steranko is one of the most controversial figures in pop culture, with a dozen successful careers to his credit: author, illustrator, editor, publisher, designer, musician, escape artist, historian, and magician. He is cited as one of the prime architects of Marvel Comics and the creator of the First Modern Graphic Novel (1975), RED TIDE. As the editor-publisher of the international newsstand entertainment magazine PREVUE, he conducted hundreds of superstar interviews and penned more than three million words. As a filmmaker, he collaborated with Steven Spielberg, George Lucas—for whom he created the look of Indiana Jones—and Francis Ford Coppola on some of their most popular films. He has shown his work at more than 300 exhibitions worldwide, including at the Smithsonian Institute in Washington, DC and the Louvre in Paris. He recently shook up Twitter with his innovative TNT technique; and is currently prepping AN EVENING WITH STERANKO for live theatrical venues across the country. 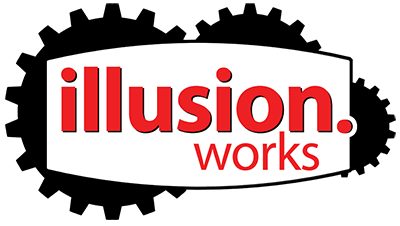 Illusion.Works is a collaboration between legendary magic prop maker Joe Porper and Writer/Magician Scott Jenkins. What incredible news. Steranko is probably the most fascinating character in card magic. His book “Steranko on Cards” is one of my most prized possesions. I am looking for added information. Sound very good. I hope it will not just be yet more card clips! I can’t mention specifics yet, but I will say we have a wide range of items coming from this new partnership! Please keep me informed about any Steranko items as I don’t want to miss out! Thank-you! Sign up for our newsletter, and you’ll be the first to hear all the news! Amazing, will you be doing limited runs of products? We’ll be doing both limited and unlimited runs! STERANKO ON CARDS is a must have for those who are “Erdnase-holics”. This is exciting news…really something to look forward to! The comment didn’t come through, but I think you’re asking how much? We’re still working that out, as Steranko has come up with an epic idea for the slipcase — a piece of original art. We’re finalizing some things now. It should be available by March 1.